Improving Conversions With Site Search | BMT Micro, Inc.
An effective site search function on an online business’ website is an increasingly important component of a successful digital strategy. These search terms can provide huge insight into user’s behavior and invaluable data to learn from. Forrester Research also found that 43% of visitors navigate immediately to the site search box, and searchers are 2-3x more likely to convert compared to non-searchers. Site visitors should be able to find navigation, including site search boxes, quickly when they arrive at a page. Your search box should be placed in a prominent position so visitors see it as soon as they land on your website. Standard e-commerce site design metrics say that users expect to find the site search box near the top of the page, above the main navigation bar. This is where most visitors will expect to find the search box, but different positions should be tested to find which generates the most queries for your site. 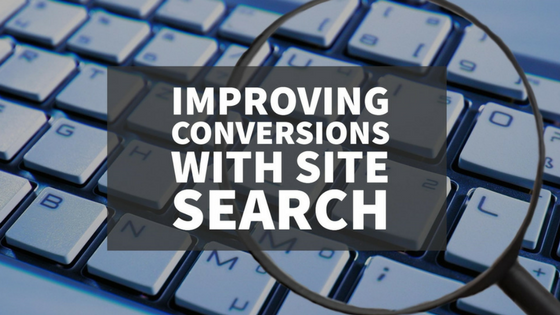 Typically, up to 30% of visitors will use the site search box with intent to purchase. However, if visitors cannot find the information they are looking, they will abandon their intent and leave the site unsatisfied. Offering a user-friendly site search experience will help visitors find what they are looking for in a more streamlined way. One method of drawing attention to your search box can be offsetting it in a different color from your site’s color scheme. Zero results pages can be a valuable source of information for online businesses. Tracking these pages via analytics can help to fix problems with site search and identify the key terms that are not converting. User-generated SEO is becoming a crucial piece of the overall SEO strategy. Based on the information from your internal site search, you can use previous users’ search queries to improve your SEO ranking. If you don’t have an internal site search, you should consider implementing it. Improving conversions is possible just by paying more attention to your internal site search, the overall user experience, and applying best practices. You will be surprised at what you uncover just from reviewing the analytics and making some simple tweaks.